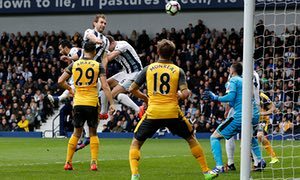 The Baggies ensured defense in their territory as the sent the Gunners dream of a top four finish this season parking as Arsene Wenger's problems continue to mount. 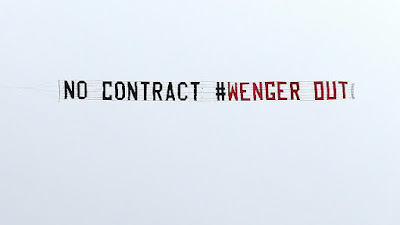 There seem to be a great division among the Arsenal fans as they had a show of their own, as they continue sending their messages this time a plane flew over the stadium shortly before kick off displaying a banner which said ‘No new contract #WengerOut’. 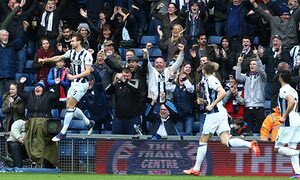 After the break, I believe those rival fans will be speechless as the Baggies added two more goals to cancel out Alexis Sanchez’s well-taken equaliser. Hal Robson-Kanu poked in the second in the 55' and Craig Dawson added another in the 75th minute with an identical situation as his first, despite losing more possession to the Gunners. 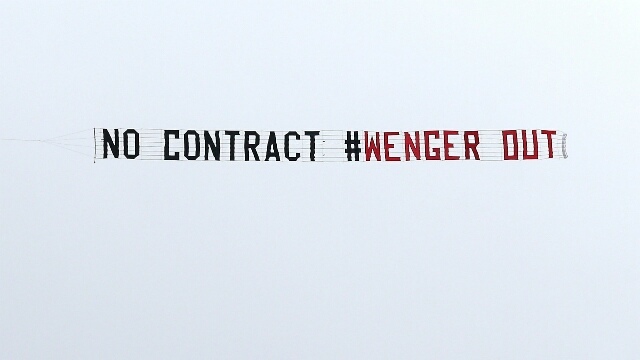 The Fans had in their mouths a song 'You don't know what you're doing!’ as Sanchez was substituted for Alex Iwobi towards the end also Petr Cech went off in the 38 minute with a suspected hamstring injury but David Ospina fared little better than Cech as he was at fault for the Baggies’ second when he failed to hold Chadli’s chipped ball into the box and was then beaten by Robson-Kanu’s tame toe-poke.